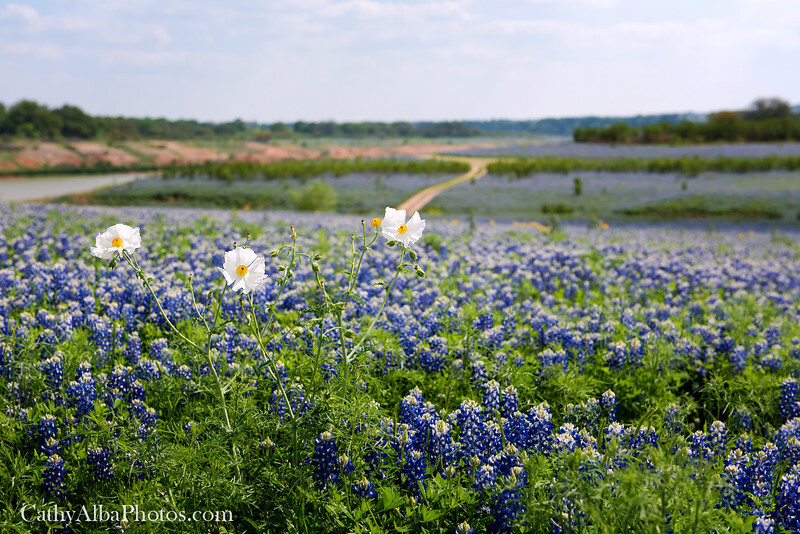 Prickly poppy and bluebonnets at Muleshoe Bend in Dripping Springs, Texas. A beautiful sight for those that were able to witness the massive fields of bluebonnets as far as the eye could see. These fields are now underwater but captured forever in print.